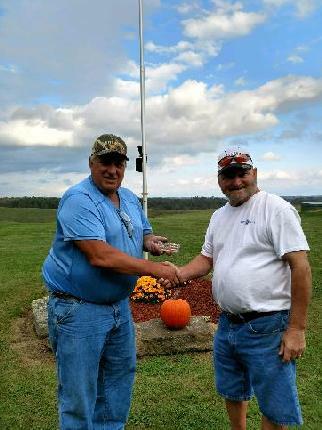 The Morgan County Gun Club held its yearly club championship Sunday, October 14th. 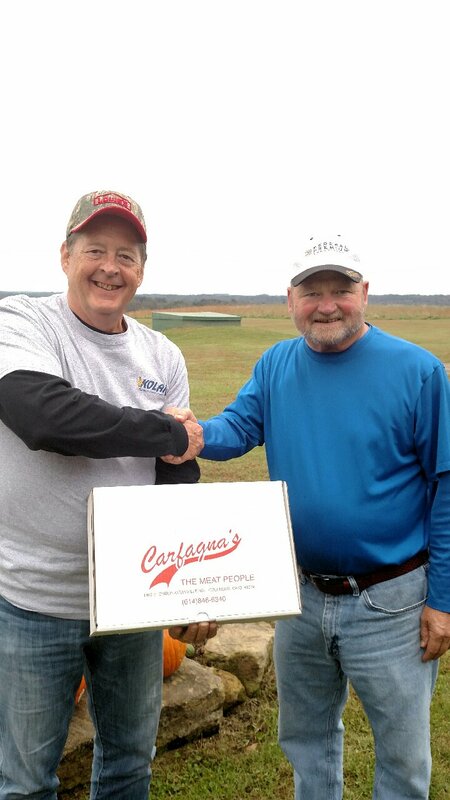 The club championship is the last shoot of the year in our area, so participants come to visit with friends, enjoy good food, & shoot. Weather was not beautiful this year. Leaves were still on trees and had not turned colors. Shooters traveled from many areas around Ohio, and West Virginia. Saturday is the scheduled weekly shoot day. Practice rounds and a 100-Bird Program was shot. 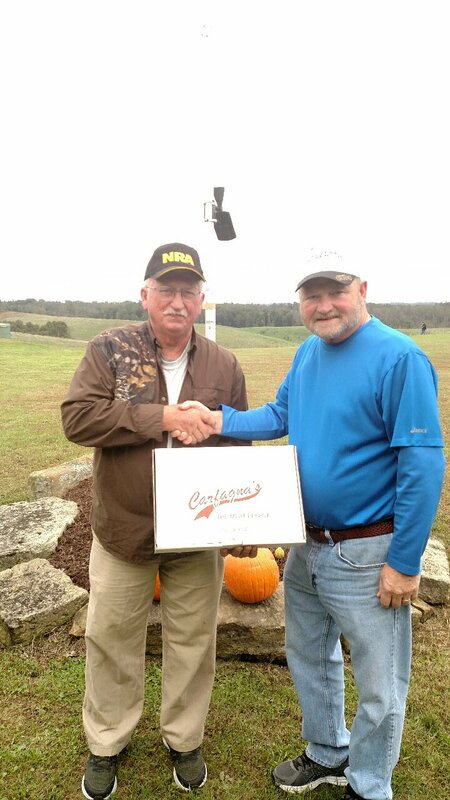 Darrel Murray of Mineral Wells, WV shot 93-100 (50-50 singles/43-50 hdcp; ATA 25.5 yd). Sunday morning started with practice and visiting. Doubles (50 pair) were scheduled with 14 doubles shooters. Some of our shooting friends don’t compete in the doubles, as it takes another gun or set of barrels capable of shooting twice. It can be very aggravating, but fun and you shoot 100 shells fast! High doubles award went to JW Dowler of Belpre with a score of 95-100. Before the 100-Bird Program shooters enjoyed a good meal. The club furnished ham and chicken while shooters brought a covered dish or dessert. 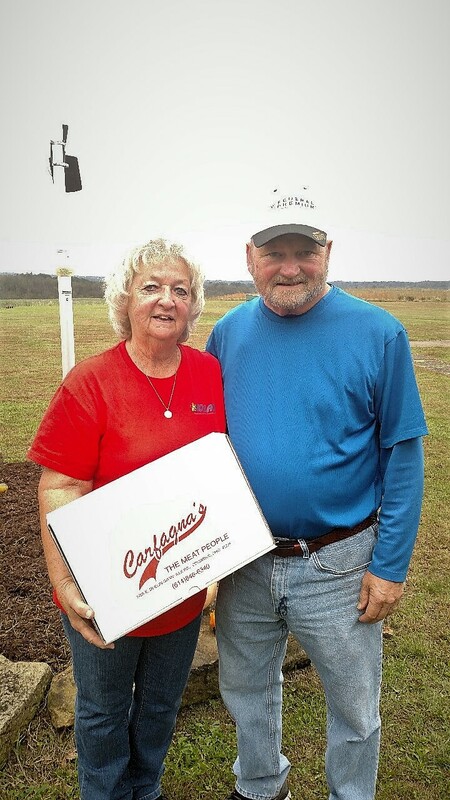 Sunday’s championship program consisted of 100 targets: 50 singles (16 yard) & 50 ATA (Amateur Trapshooting Association) handicap (hdcp) targets. Shooters shoot ATA assigned yardage or 23 yard minimum. 38 shooters competed this year. Awards were given to high gun member, high gun open, high gun open singles, high gun open handicap, high gun open veteran, high gun open junior, and high gun open lady. 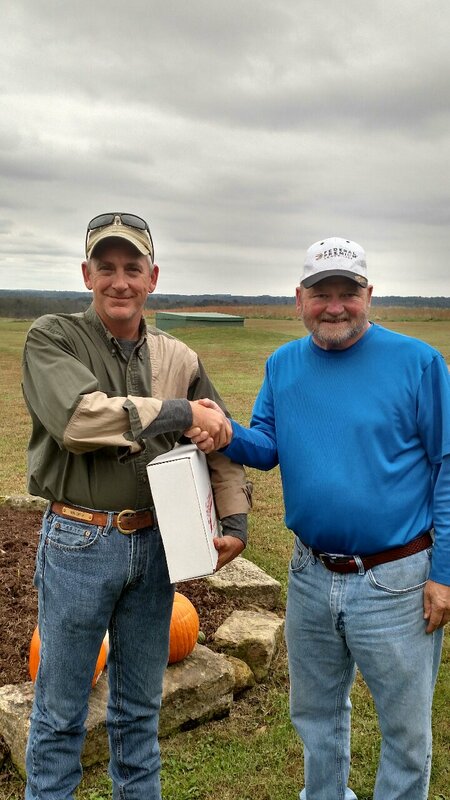 Darrel Murray of Mineral Wells, WV won the Member Belt Buckle with a score of 97-100 (48-50 singles/49-50 hdcp; ATA 25.5 yd). Club members as well as non-club members are eligible for remaining awards. Hdcp targets are thrown from the 18 yard line to the 27 yard line, depending on shooter’s ability. 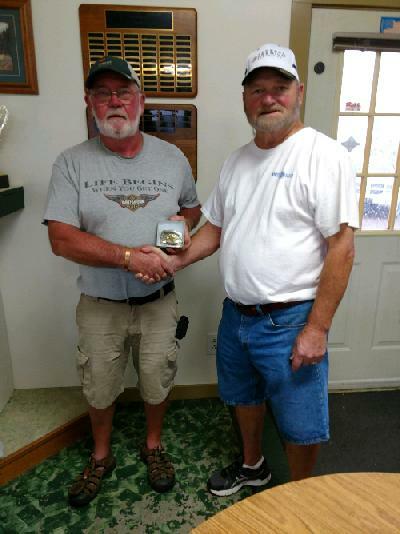 Ron Smith of Dover won High Gun Open with a score of 97-100 (49-50/48-50; 27 yd). 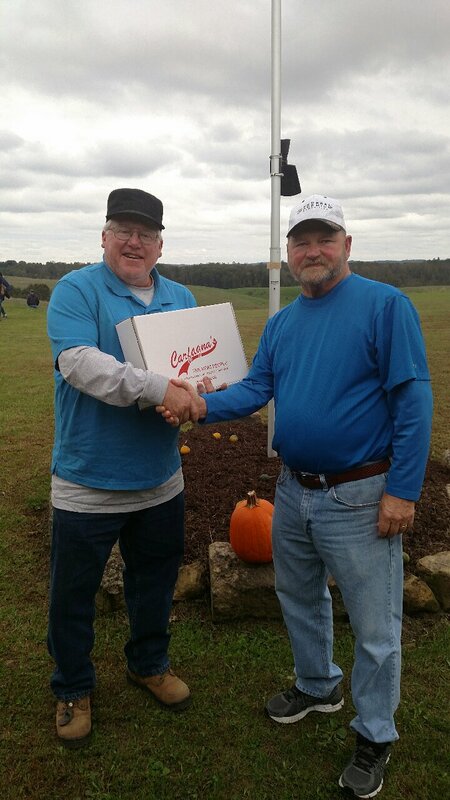 Fred Dague of Valley Grove, WV won Singles shooting 50 straight (50-50/43/50; 27 yd). 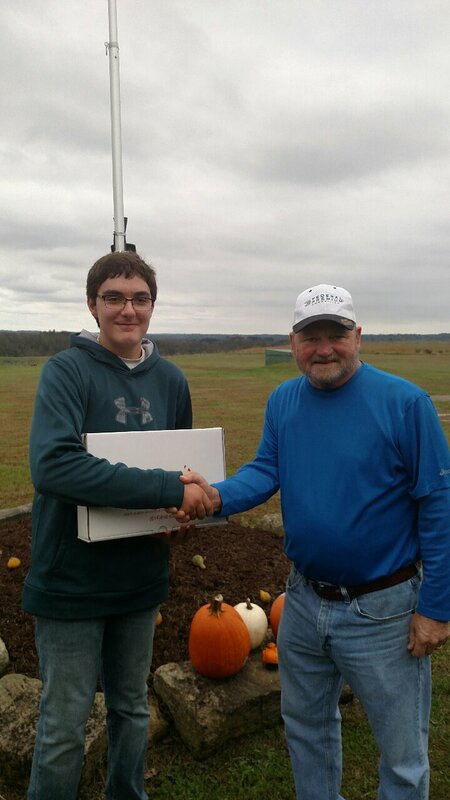 David Crossman of Newcomerstown won Handicap hitting 47-50 (48-50/47-50; 20 yd). 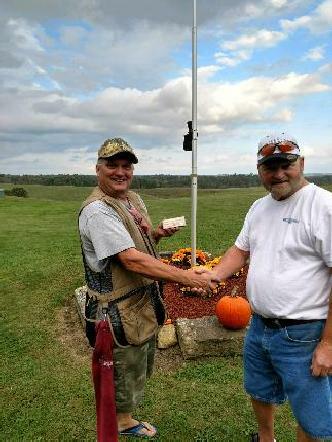 Darrel Dowler of Parkersburg, WV won Veteran 97-100 (49-50/48-50; 23 yd). Peggy Wise, treasurer of the club, won Lady 92-100 (48-50/44-50/ 27 yard), and Jerod Hawthorne from Cambridge won Junior 79-100 (41-50/38-50; 19 yd). Darrel Murray High Gun Member. 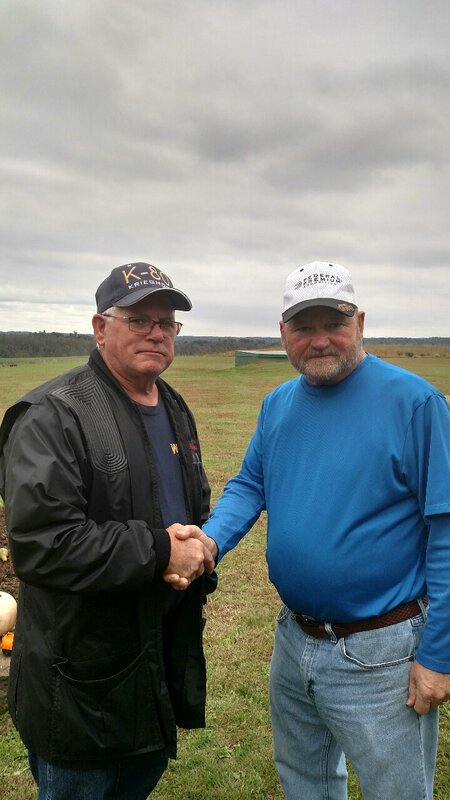 Ron Smith High Gun Open. Fred Dague High Singles Champion. 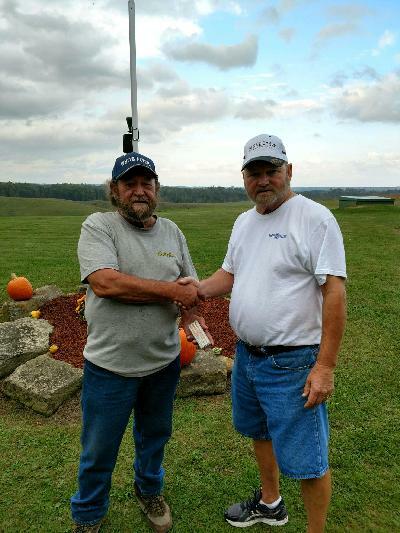 The Morgan County Gun Club held its yearly club championship Sunday, October 15th . 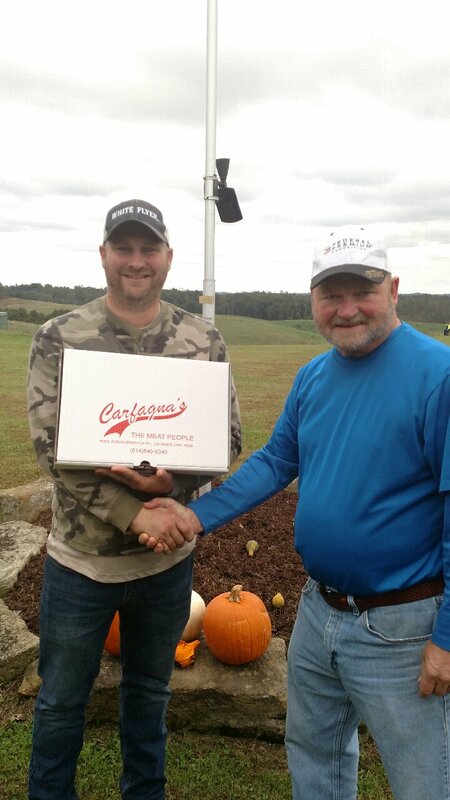 The club championship is the last big shoot of the year in our shooting area, so participants come to visit with friends, enjoy good food, & shoot. Weather was not beautiful this year, but we were fortunate that the hard rain held off till everyone shot. It was cloudy and windy most of the day, but shooters dealt with it, and we are on a hill. We had a really great attendance with the weather forecast predicting heavy rain and wind. Shooters traveled from many areas around Ohio, and West Virginia; some as far as three hours. Shooters shot Saturday, which is the scheduled weekly shoot day. Practice rounds and the 100-Bird Program was shot. 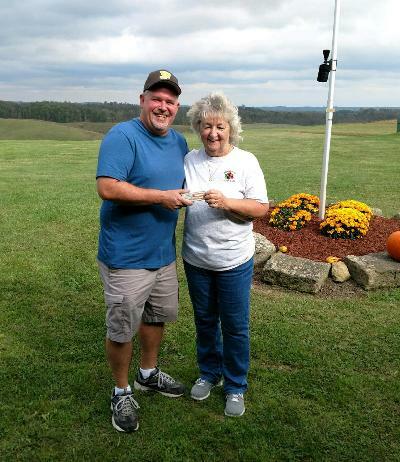 Peggy Wise (local) shot 97-100 (50-50 singles/47-50 hdcp; ATA 25 yd). She should have had that score Sunday! Sunday morning started with practice. Next, doubles (50 pair) were scheduled with 19 doubles shooters. Some of our shooting friends don’t compete in the doubles, as it takes another gun or set of barrels capable of shooting twice. It can be very aggravating, but fun and you shoot 100 shells fast! 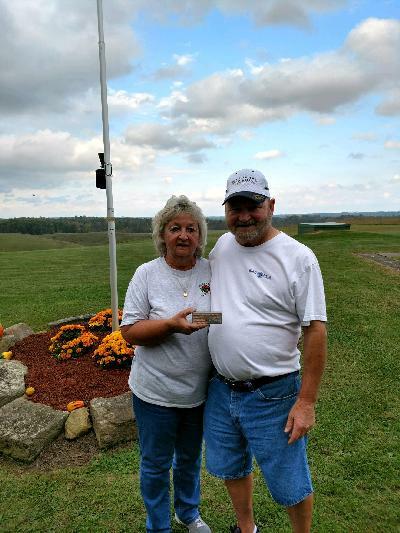 This year our high doubles award went to Larry L. Wright of Lancaster with a score of 96-100. Before the main 100-Bird Program shooters enjoyed a good meal. The club furnished barbecued pork and chicken and others brought a covered dish or desert. Club members are helpful and encourage young shooters in the sport. Dwight Parmiter High Gun Member. Larry L. Wright High Doubles. Dennis Cooperrider High Gun Open. 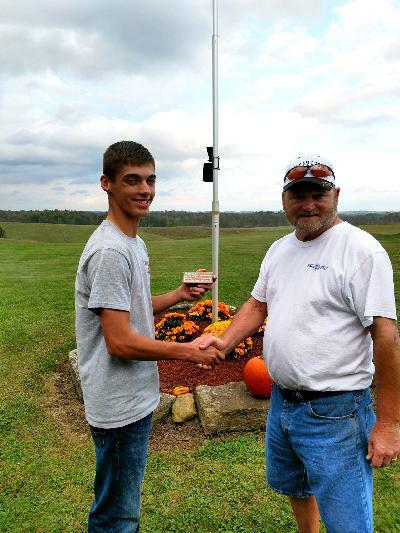 Lloyd Ridenbaugh High Handicap Champion.